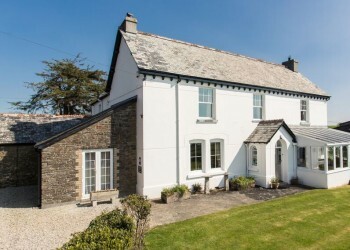 Bucklawren Bed & Breakfast, Looe is a working farm set deep in the beautiful Cornish countryside. 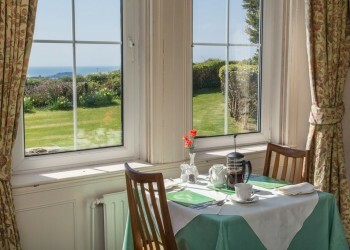 There are superb sea views across our fields, and we’re just one mile from the beach and three miles from the picturesque fishing village of Looe. One of the most popular fishing villages in Cornwall, the village of Polperro, is only a few miles away and is undoubtedly one of the prettiest villages in Cornwall. 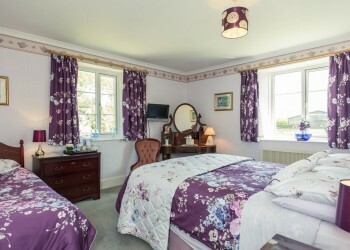 When you stay with us at Bucklawren Bed & Breakfast, Looe, there’s a great choice of things to do. Along with golf, cycling, riding, tennis, or water sports you could take breathtaking cliff walks along Cornwall’s spectacular coastal path. Looe in Cornwall is the ideal base for touring around to see the beautiful coast and country. For those looking for a lazy break you can unwind at one of our nearby sandy safe bathing beaches. Take a gentle stroll along the quiet Cornish lanes discovering picturesque villages and a countryside rich in wildlife. To add to the mix, there are thrilling days out for the whole family, including the world-renowned Eden Project, the Lost Gardens of Heligan and the nearby Monkey Sanctuary.